Insights. While I hate the staging of Shakespeare’s plays in non-traditional ways, I love the ways in which those settings reveal the wisdom and insights about life from the plays that cross all time periods. 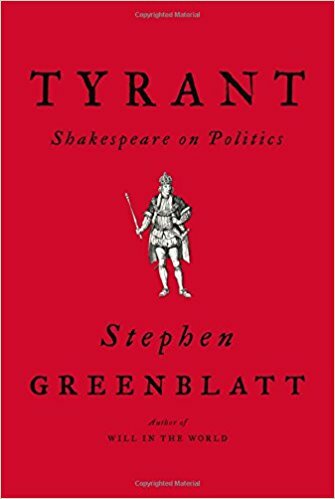 In his book titled, Tyrant: Shakespeare on Politics, Stephen Greenblatt focuses on the ways in which Shakespeare presented tyrants and populism in different plays. With many countries run by autocrats today, the insights about behavior and institutions from this book are timely. Teachers can use this book as another example of why Shakespeare is relevant, and why students should experience a wide range of these works. Rating: Four-star (I like it) Click here to purchase Tyrant from amazon.com.